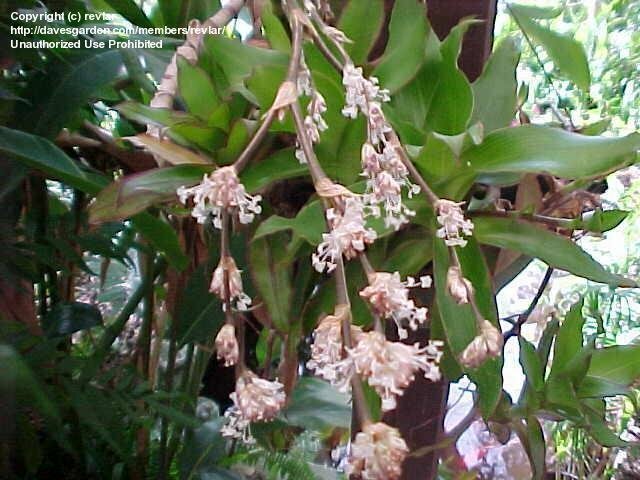 Callisia fragrans, Basket Plant. 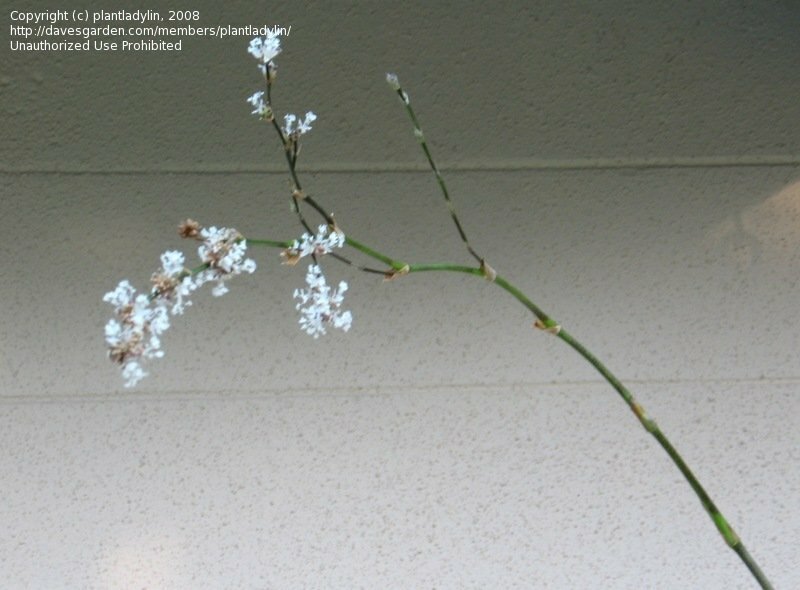 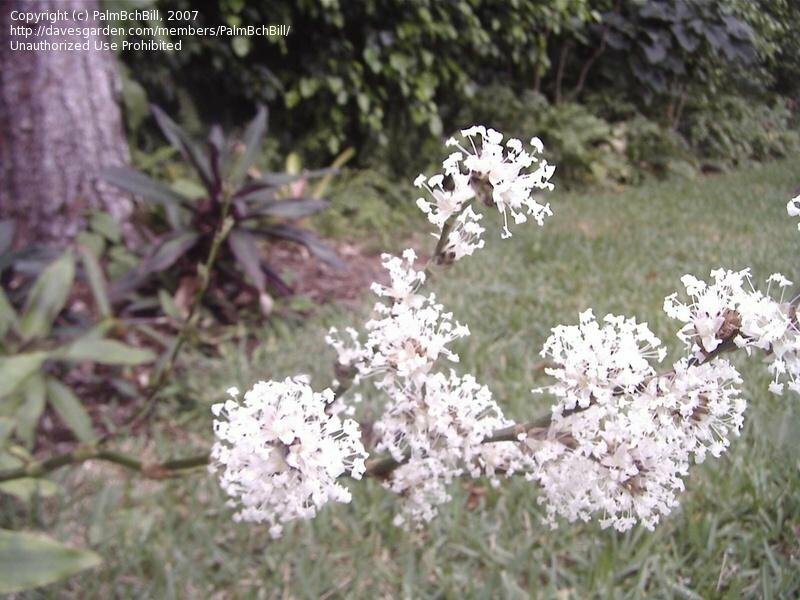 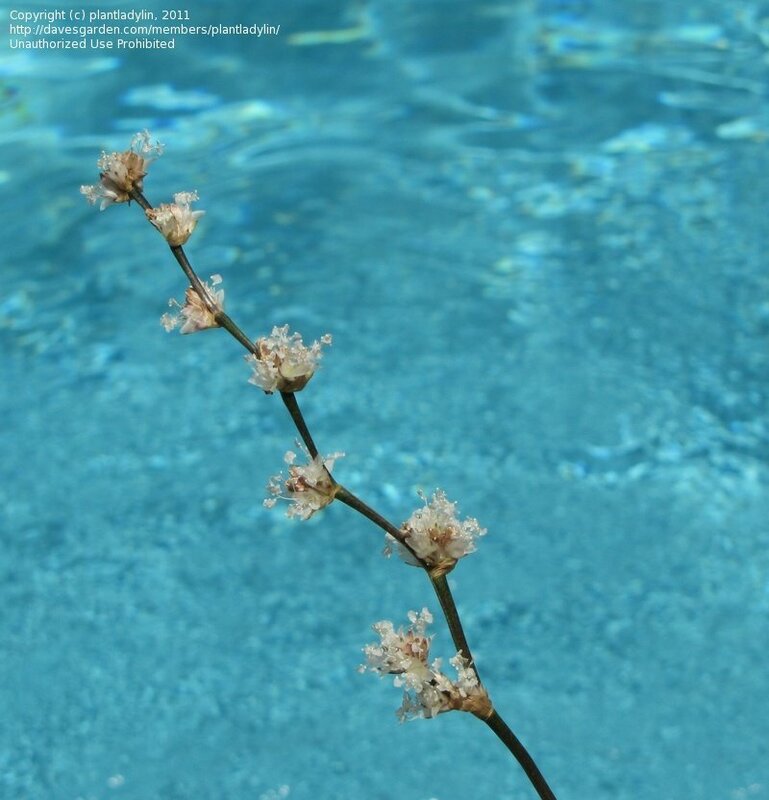 Fragrant, small, delicate blooms appeared in early spring and blooming persisted (fading then reblooming repeatedly) to early summer. 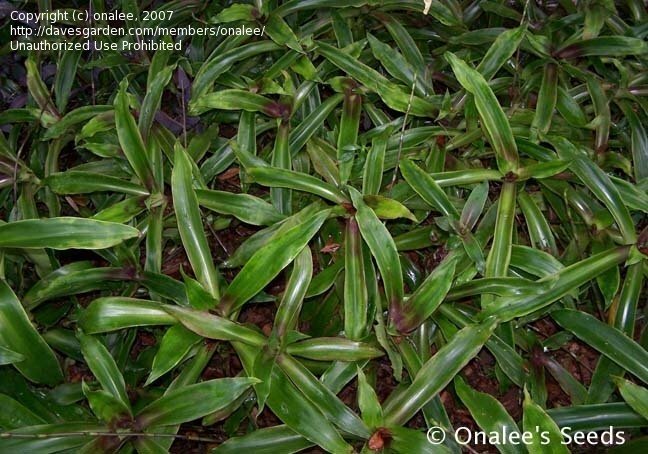 Callisia fragrans, Basket Plants growing as ground cover in zone 9a. 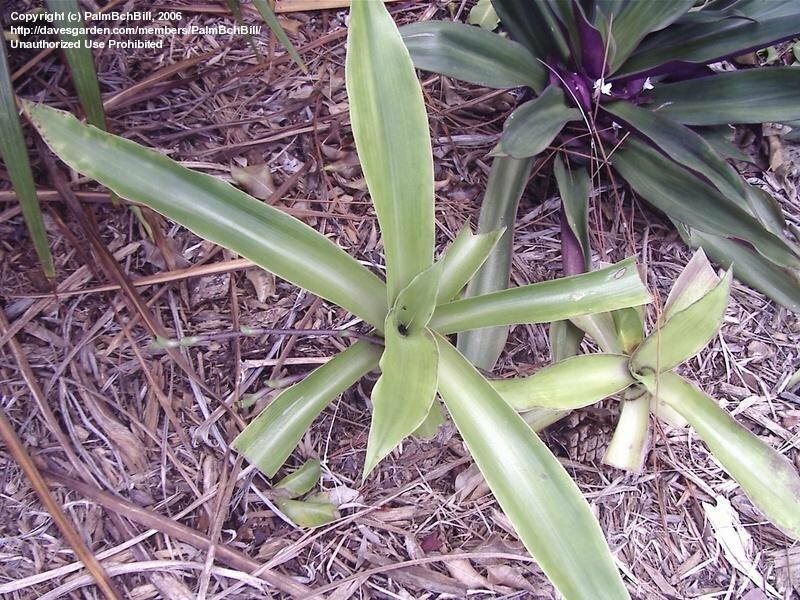 These are under a protective oak canopy, but have survived and quickly multiplied as a ground cover in zone 9a, central Florida. 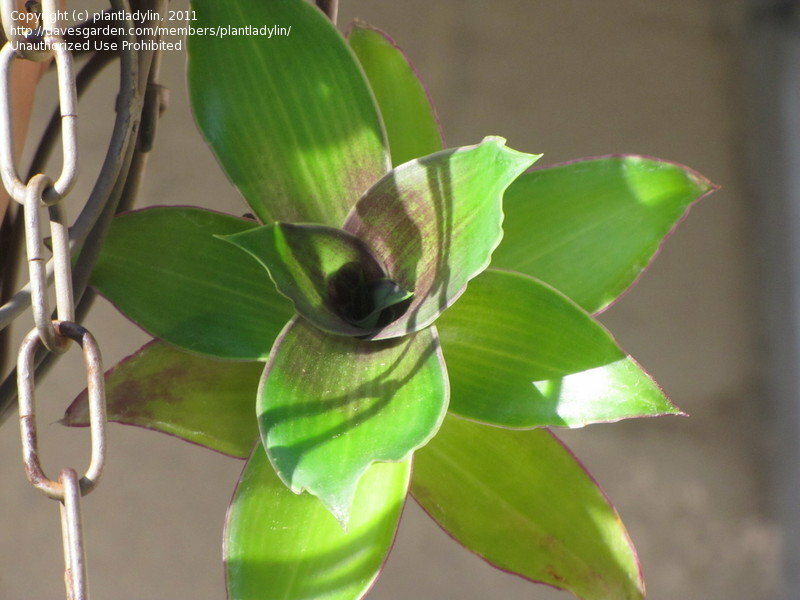 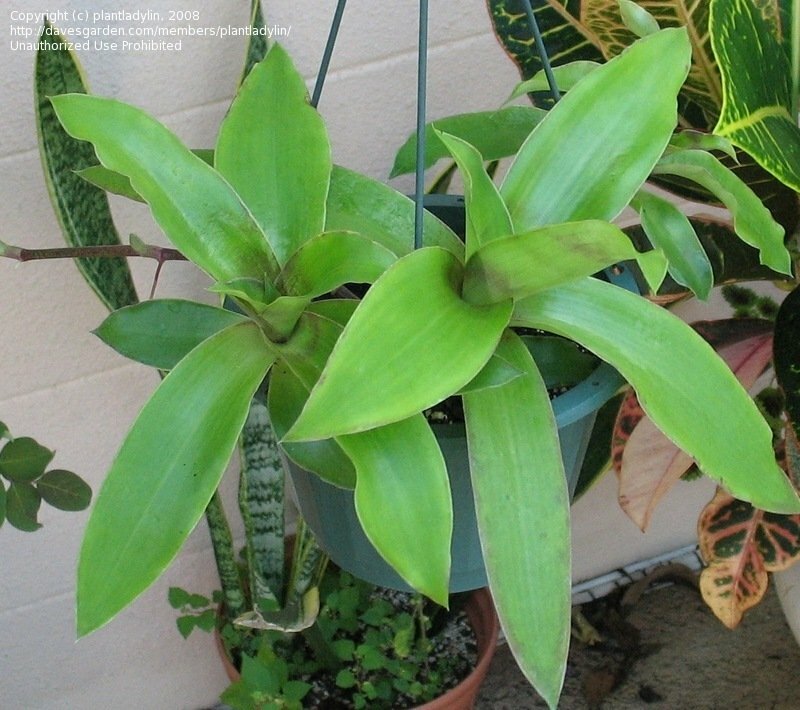 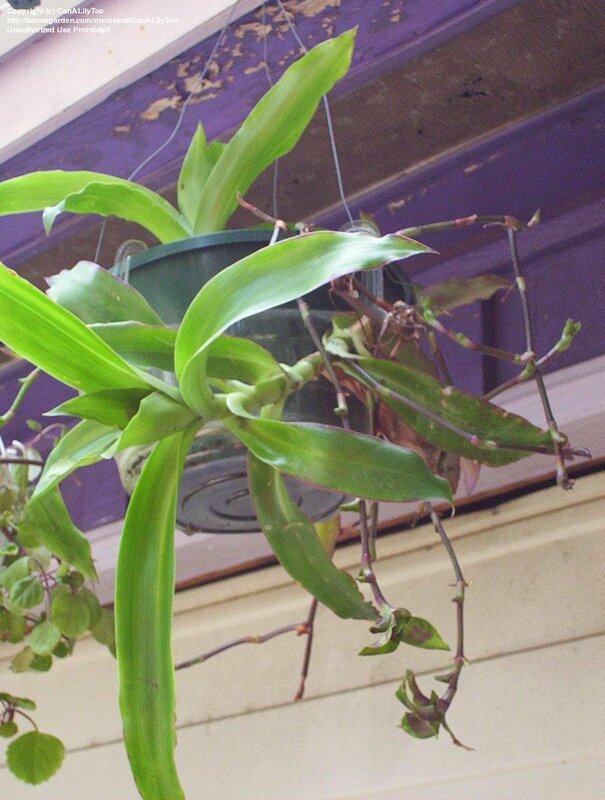 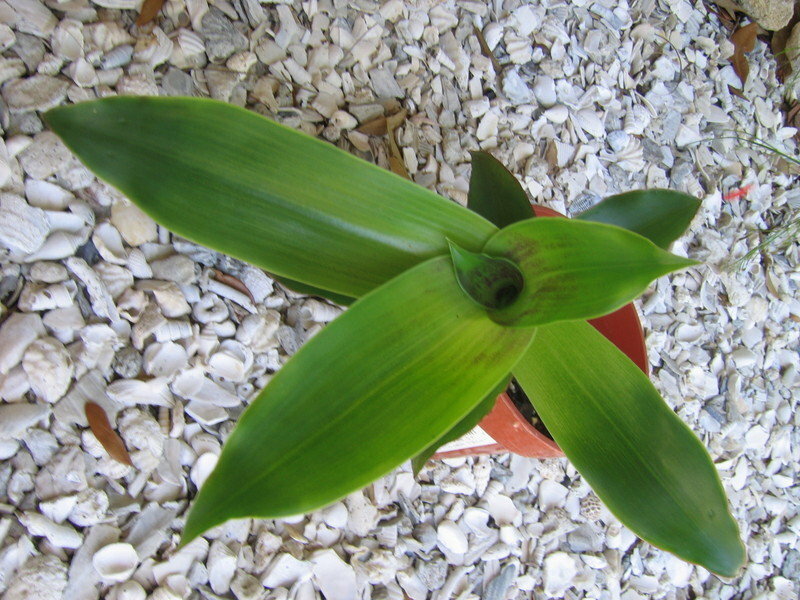 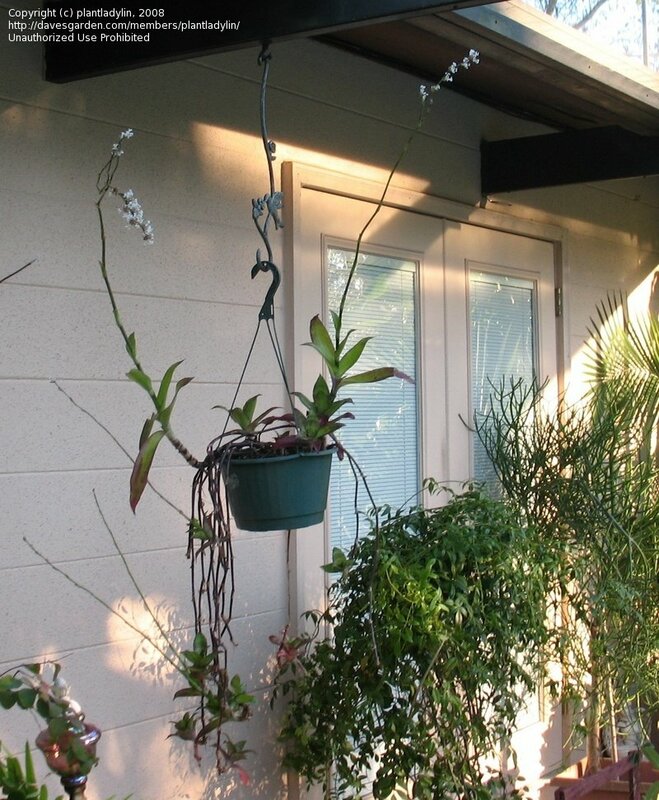 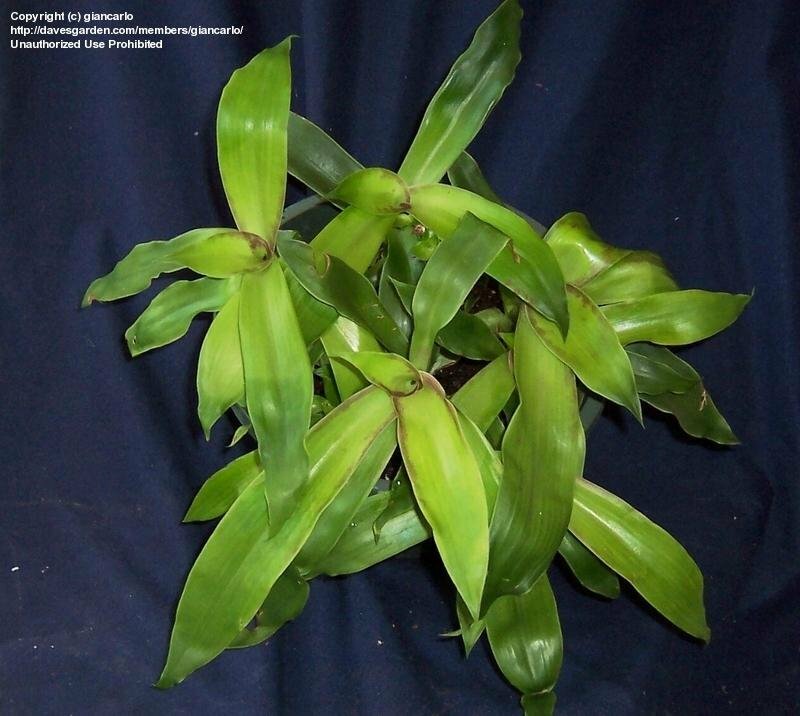 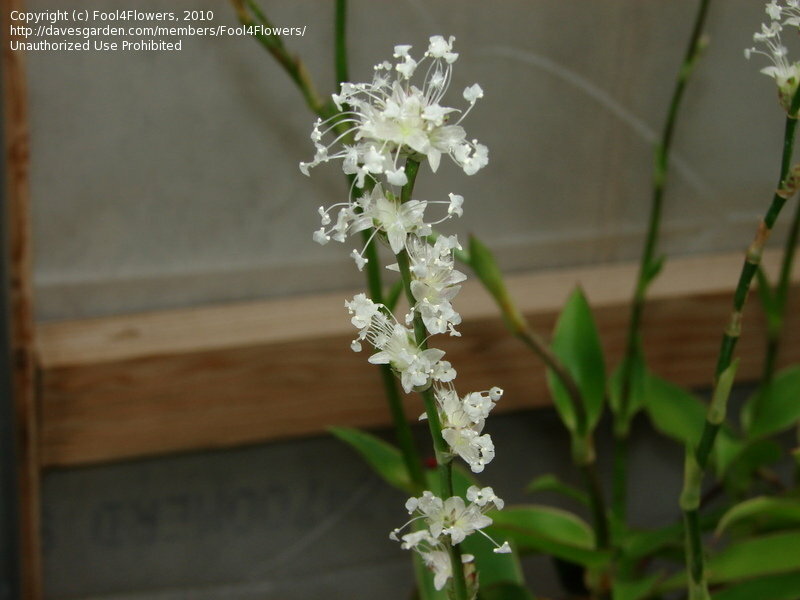 This is the first picture of my Callisia fragrans taken in January, shortly after I got it. 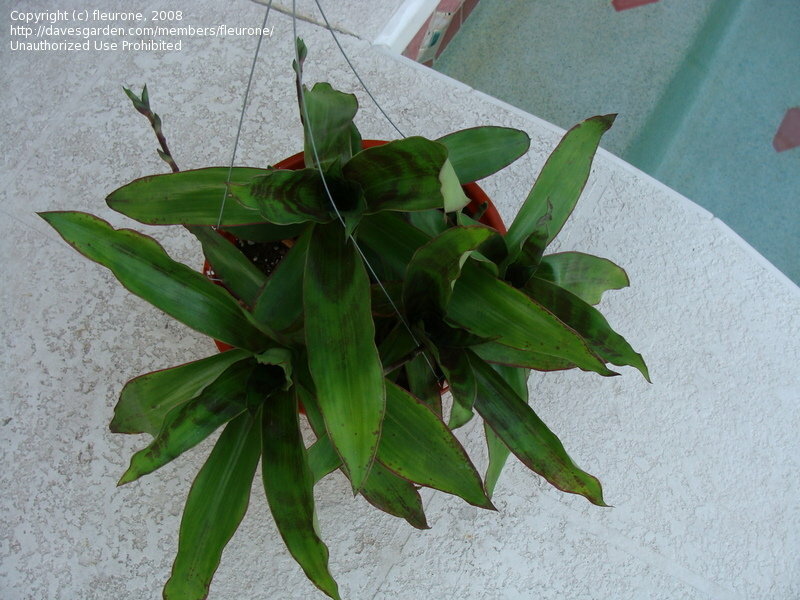 Its currently preparing to bloom. 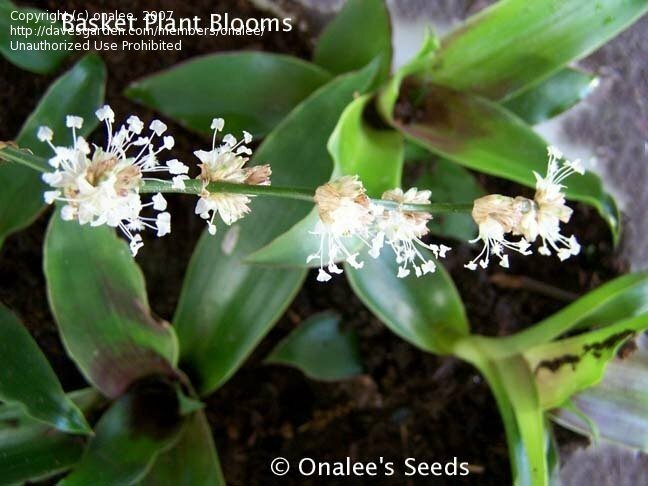 Callisia Fragrans in bloom-mid to late March in South Texas. 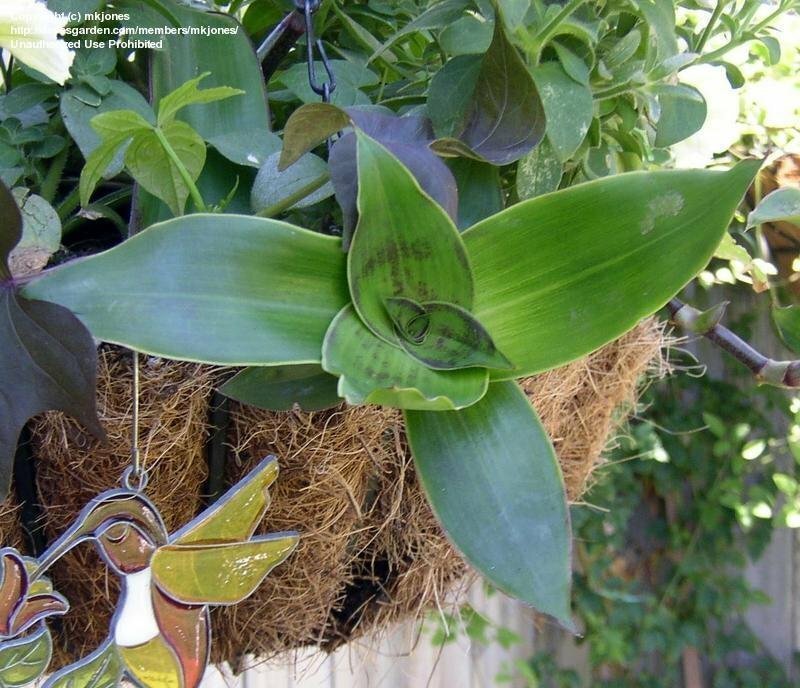 In a basket, above an azalea/hosta garden. 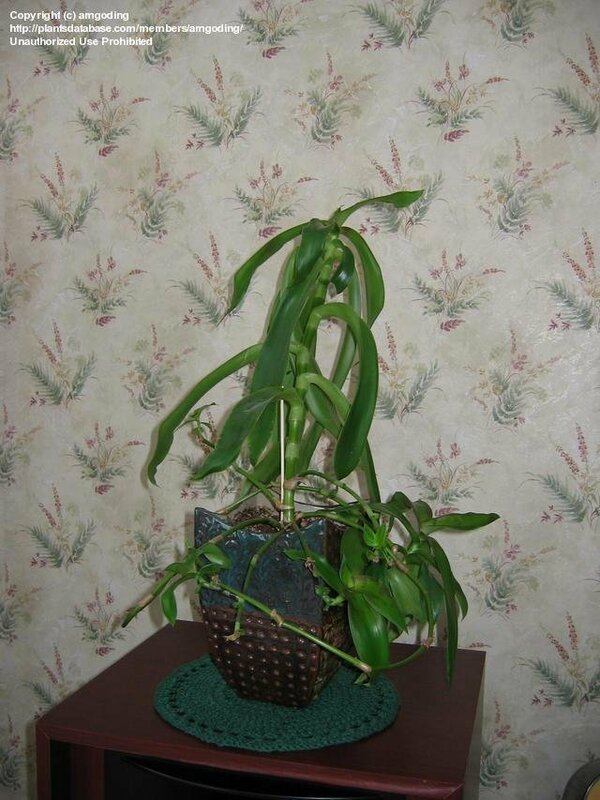 This is an offset. 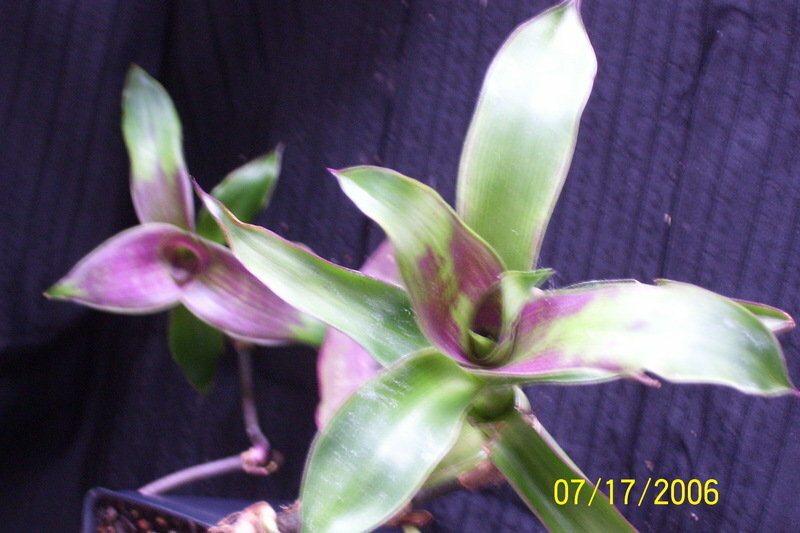 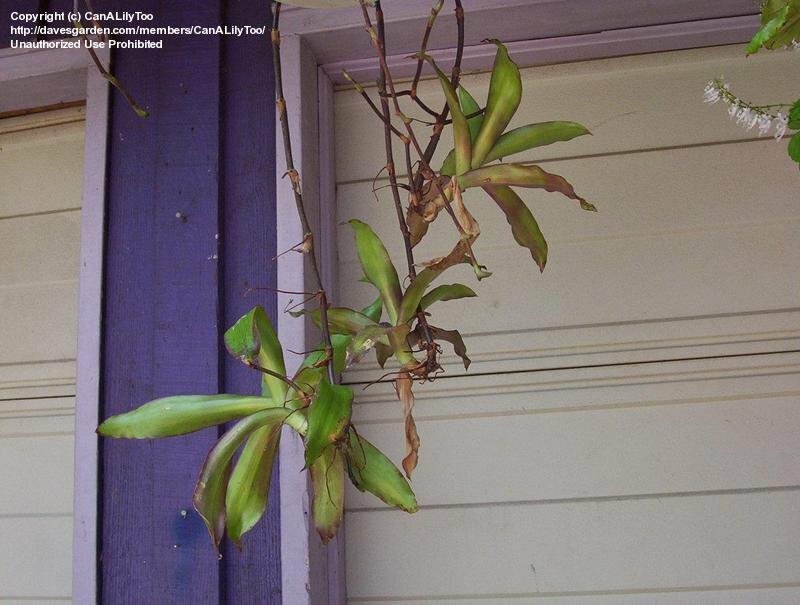 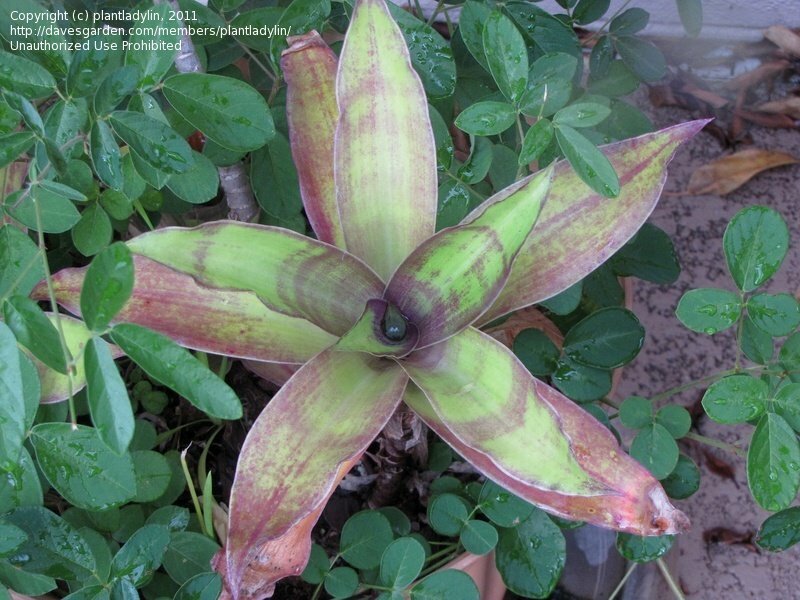 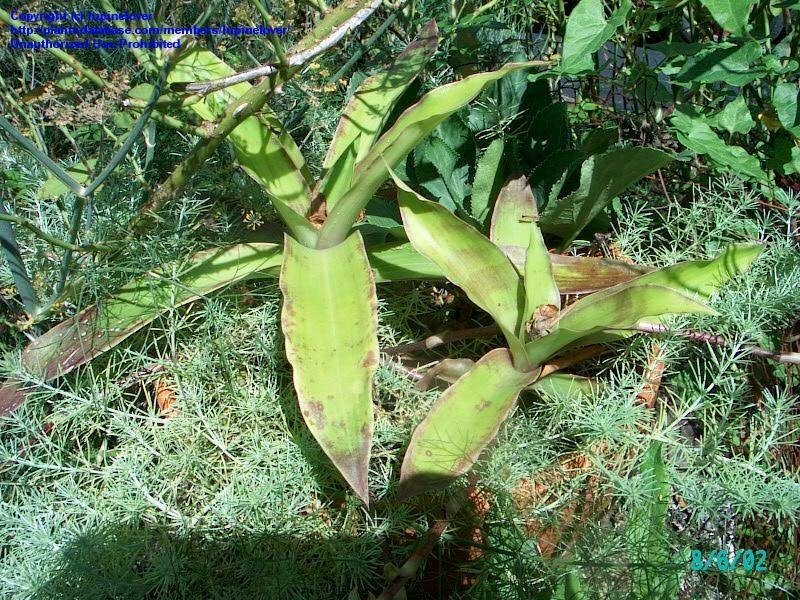 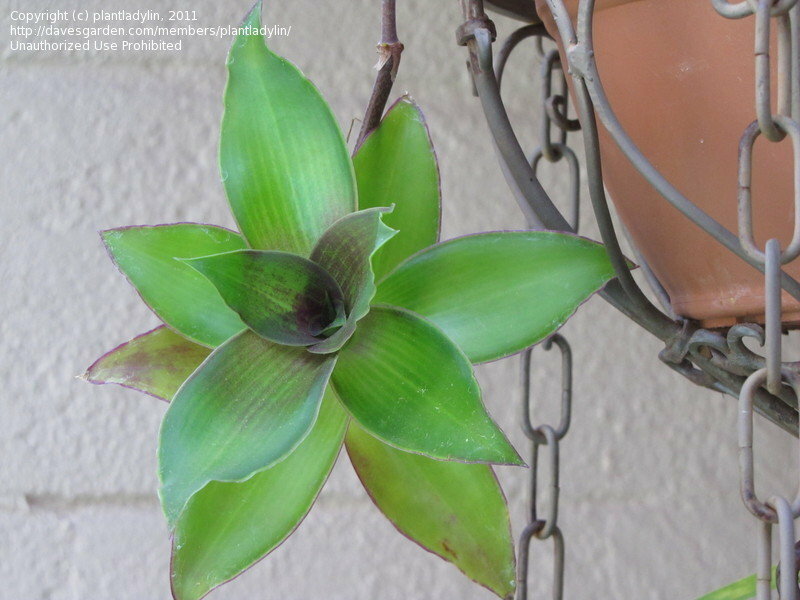 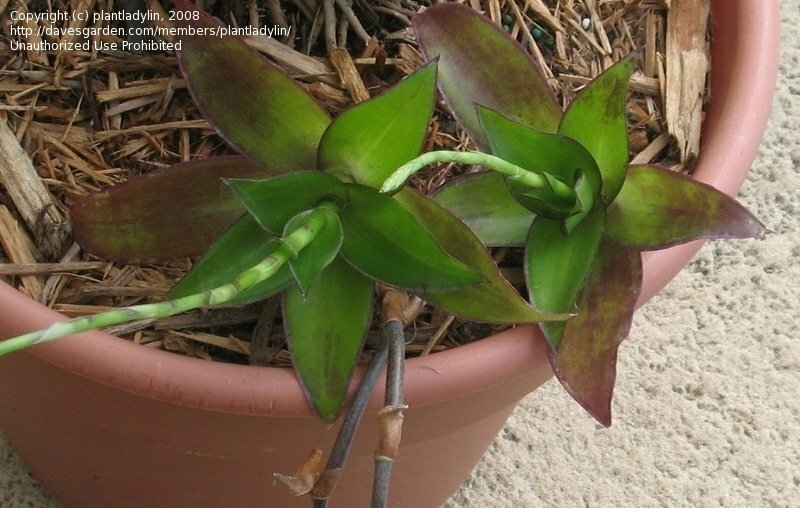 Started from a cutting, it thrives in a small pot, in dappled sun, which has brought out a purplish tint to the leaves. 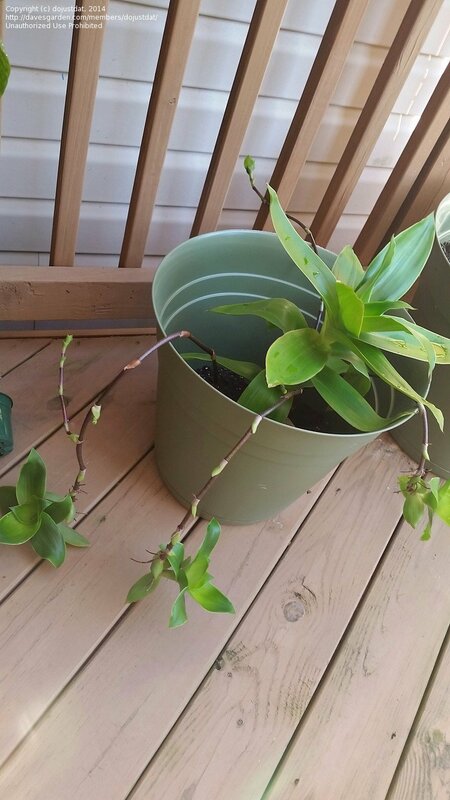 Presently is throwing out 4-5 babies. 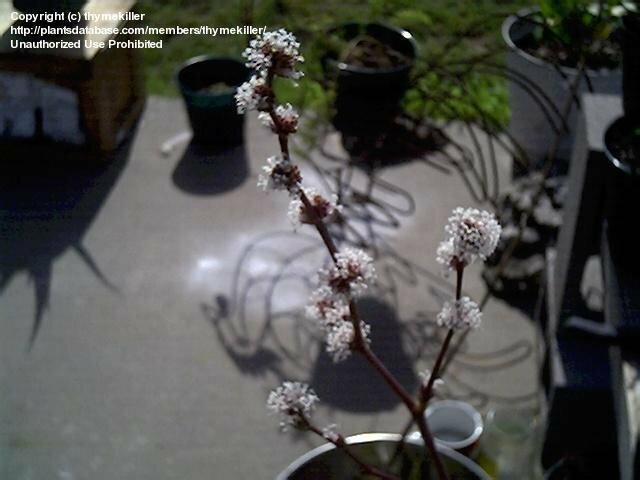 No blooms to date. 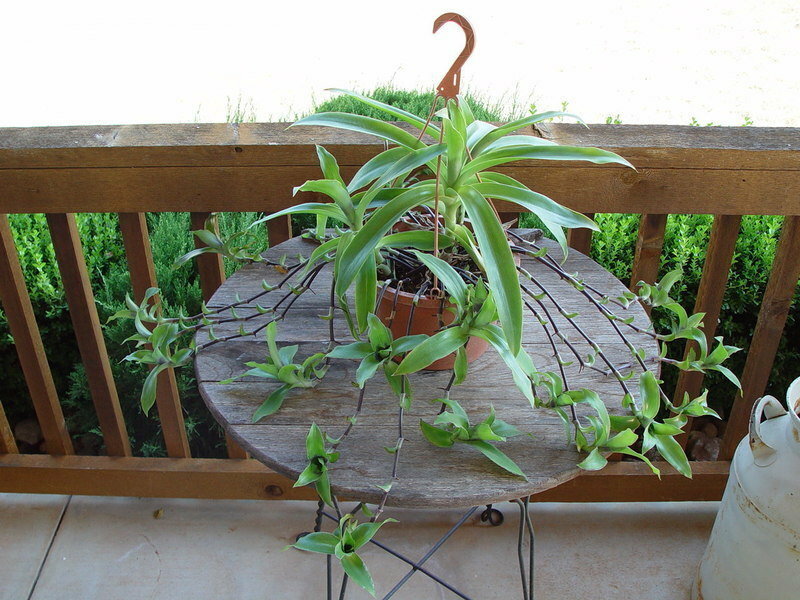 Basket Plant with her "pups"
My basket plants do great just stuck in a rock wall, or planted in dirt above a rock wall. 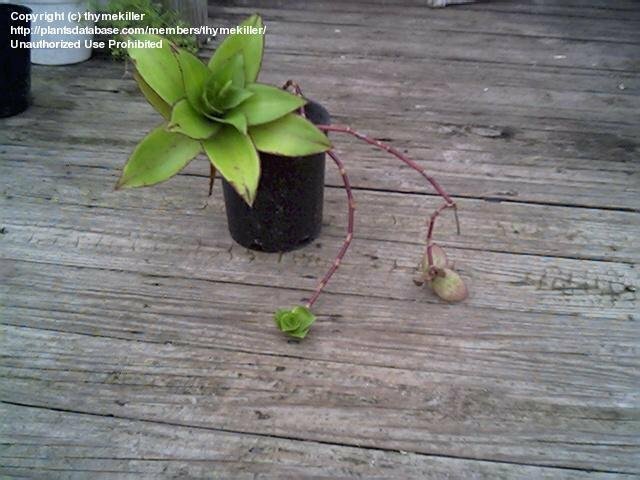 Every two weeks or so I just spray them over with a hose. 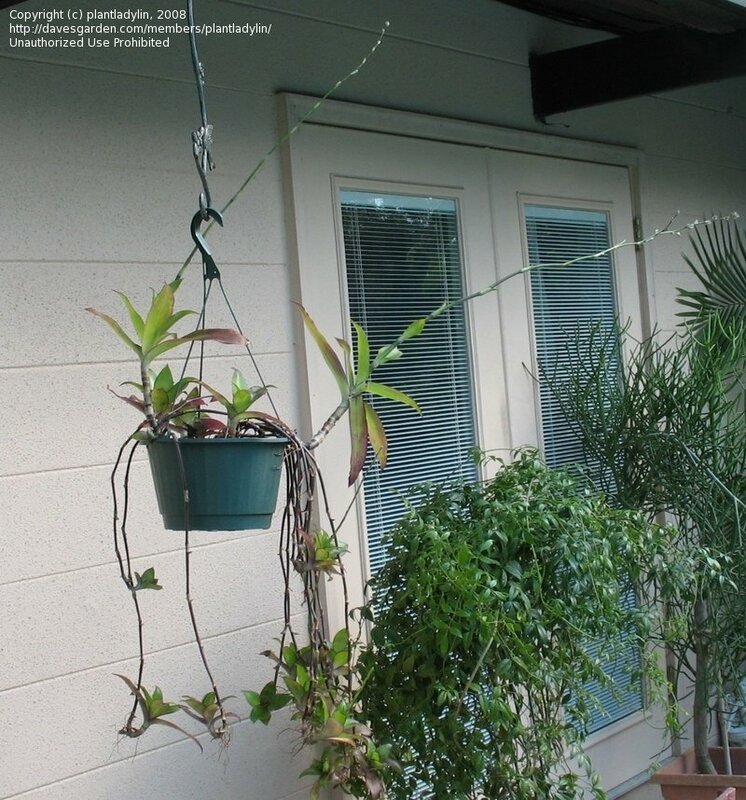 Easy to control, just remove runners. 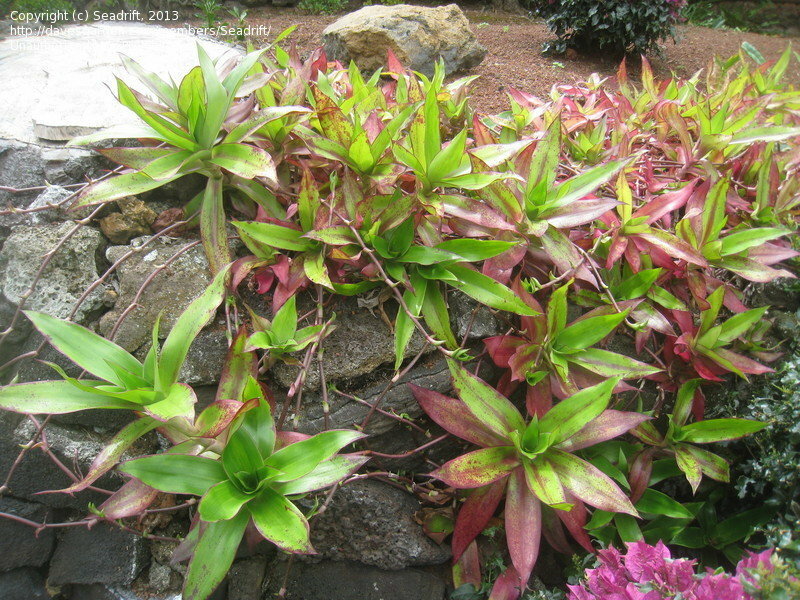 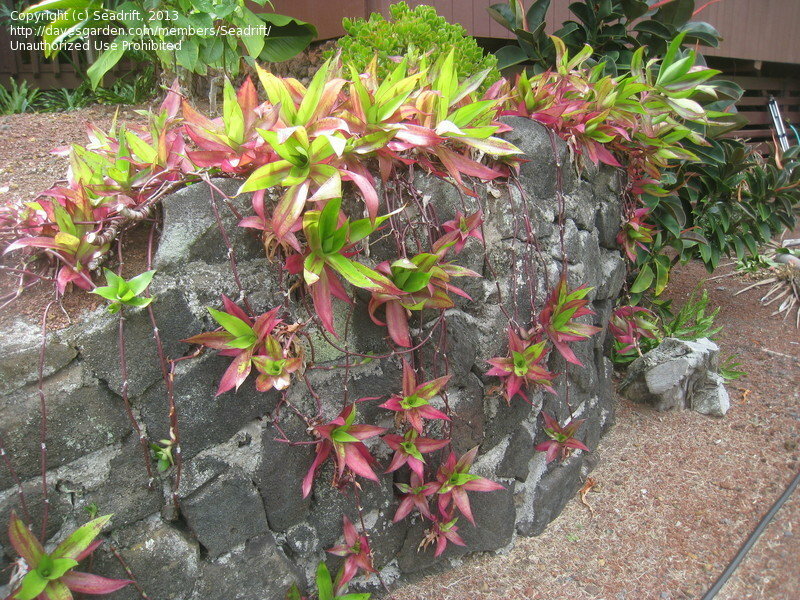 Blooms several times a year in Hawaii.